The 2012 Up-Fronts set the stage (literally!) for next season’s TV schedule and upcoming feature films. It’s never too early to start researching your backing needs. J.C. Backings has all the backings you need to start pre-production… if we don’t, we can always create custom backings to meet your production’s unique specifications. 1. Advanced backing(s) search on our website! 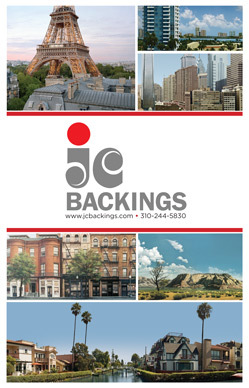 J.C. Backings has more than 5,000 Painted, Photo and Digital Print Backings available to rent. New backings are added to the website all the time, so if you don’t see what you need, give us a call and we’ll find it for you. 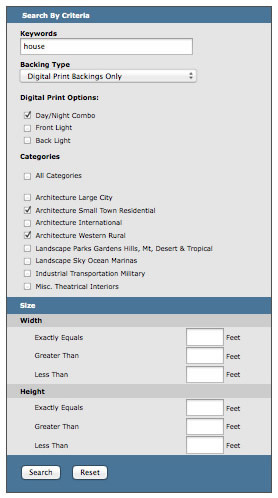 Click here to search our online catalog of rental backings. Download a copy of our current brochure here. 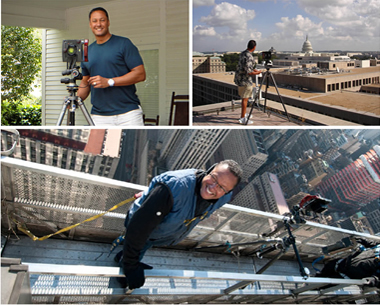 Pierre Steele, JC Backings’ principal photographer, goes wherever clients need to capture the quintessential images that help bring a production to life. Here’s some of Pierre’s more recent work. To view Pierre’s complete portfolio, click here. With nearly 5,000 painted, photo and digital print vinyl backings, JC Backings offers the entertainment industry unparalleled choice when designing the look and feel of a production. To review the complete JC Backings catalog, click here. It’s our 50th anniversary, and we’re PROUD to have served the entertainment industry for all these years! Some of our most exciting moments are posted on Facebook. Check out our milestones on Facebook. Feeling nostalgic? Take a look at the J.C. Backings historical backings album on Facebook. Art Director/Professor Carol Wood and her film students from the University of North Carolina School of Art visited the J.C. Backings Scenic Studio at Sony and then visited the Smiley warehouse in Culver City. J.C. Backings loves hosting film student tours of its facilities. Call us at 310-244-5830 to schedule a tour for your students today! Send us your set photos and we’ll feature them on Facebook. J.C. Backings specializes in oversize backings and creating custom backings to virtually any specification. Our highly trained team creates Painted, Photo and Digital Print Backings for feature films, television, commercials, theme parks, music videos and more. Our backings meet or exceed industry standard flame proofing requirements. We offer one of the largest selections of Painted, Photo and Digital Print Backing inventories, with more than 5,000 rental backings. The catalog also includes historic stock from MGM, 20th Century Fox, Universal Studios and Walt Disney Studios. 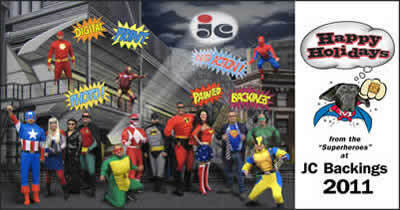 Contact J.C. Backings at (310) 244-5830.